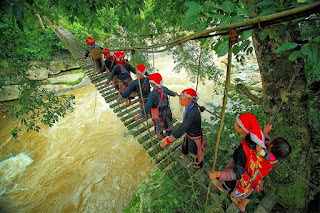 Beside the stunning landscape that The Mother Nature dedicates to, Sapa is also known for the unique culture from generation to generation. Here, everyone still keep the traditional customs that were showed up through the daily routine in their life. 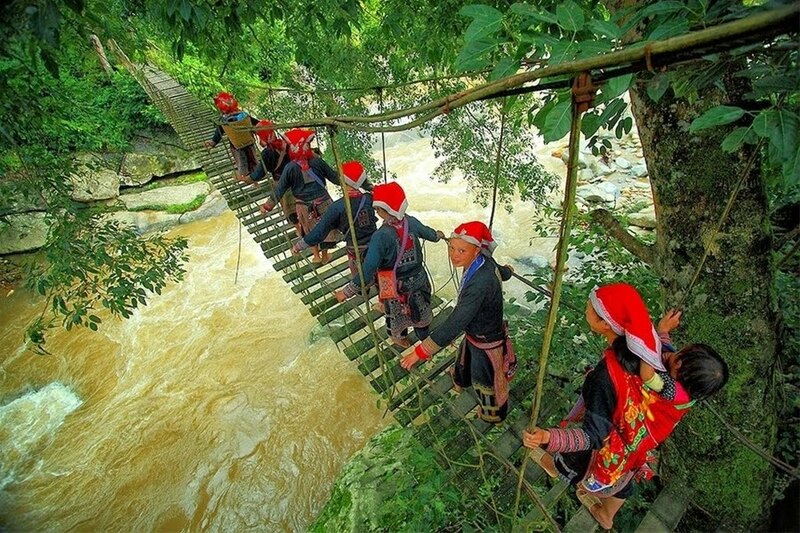 This is truly one of the interesting characteristics that make Sapa attractive in eyes of travelers. As you can see, travelling is the discovering and experiencing and it seems Sapa has met both of two these important elements to bring visitors the most unique experiences, the most comfortable relaxation throughout the vacation in The S-shape country. 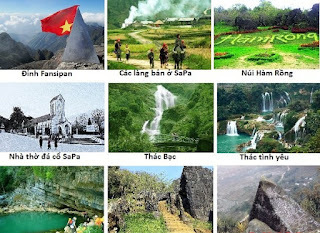 That's why Sapa is always one of the top of chosen destinations for the foreign tourists when they plan to travel to Vietnam. 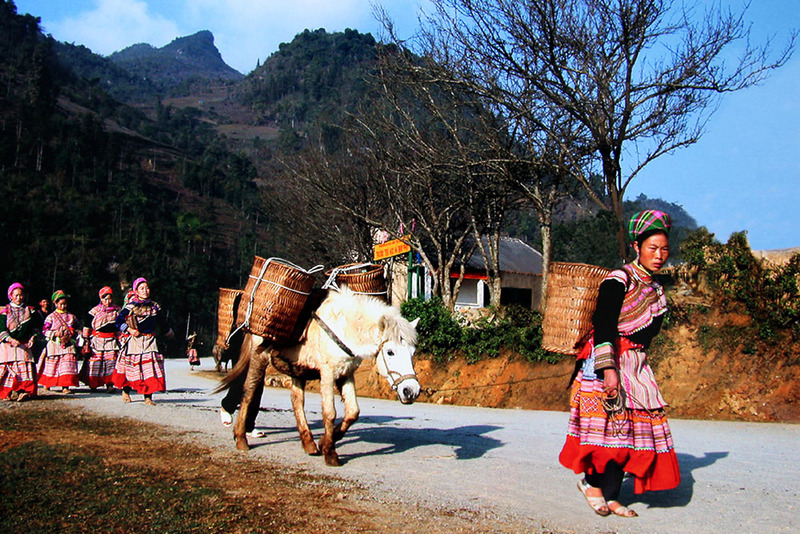 There are many Sapa tours that help you to discover the nature as well as the unique culture of this majestic land. 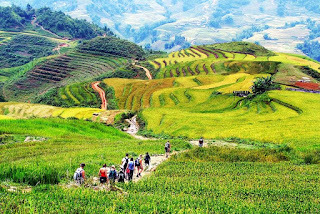 However, in order to help you get the overview of Sapa, Sapa Easy Trek And Bac Ha Market (Sunday) Tour 3 Days is considered one of the most impressive itineraries with it you will have chance to experience Sapa within 3 days. 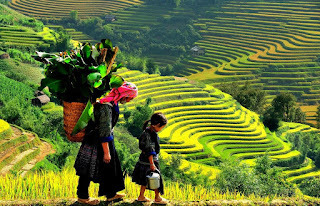 With a wide range of interesting activities as sightseeing tour, trekking tour, homestay tour, Sapa market tour, in which, Bac Ha Market is what you will feel most impressive about the unique traditional culture here. 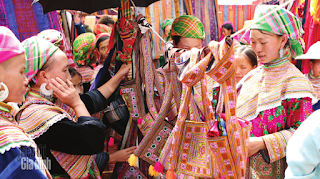 However, you have to pay attention one important thing that Bac Ha Market only opens on Sunday. So let arrange your time by a reasonable way for a Bac Ha Market tour if you are planning to visit it in next time. 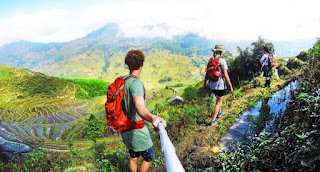 Tag: Fansipan Tour, Sapa Easy Trek And Bac Ha Market (Sunday) Tour 3 Days, Sapa homestay tour, Sapa market Tour, Sapa Tours, Sapa trekking tours, Sapa walking Tour, Vietnam Package Tours. When travelling to Vietnam, in each city or province, you will find information on things to do, food to taste, places to stays and more in order to you can try, discover and experience. However, don't ever worried about these things, because Asia CharmTours selected carefully all the things included what we think is the very best of Vietnam for each itinerary. Even it is a private tour or a group tour, it is always perfect for you. So, don't ever postpone taking a trip to our beautiful country for any reason if you have intention of doing it. 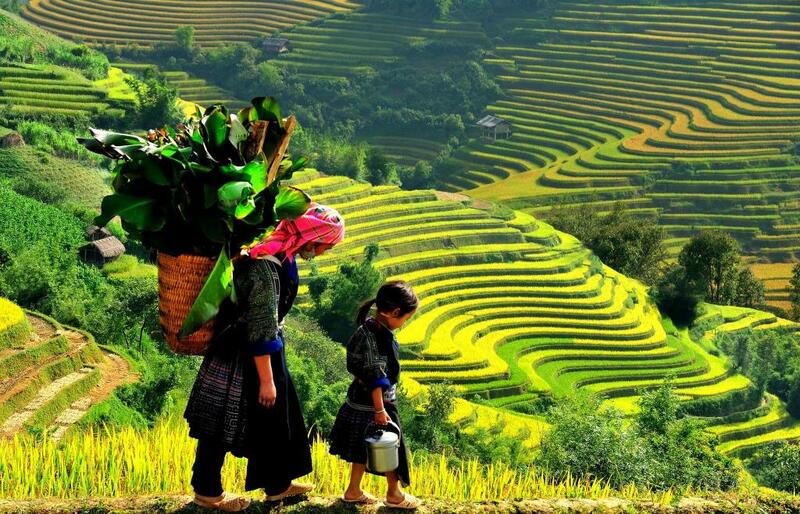 Let start your new days in Vietnam with new experiences in this S-shape country right in Sapa with Asia Charm Tours - One ideal destination to visit in the Northern Vietnam for anyone. Even, if you have no idea about travelling, just need a visit to Sapa once, you will change yourself your opinion, and become addicted to travelling. 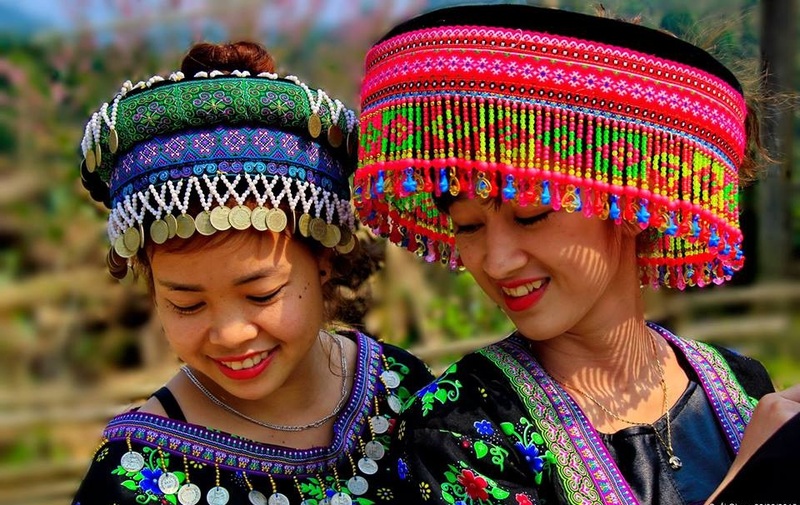 Coming to Sapa, thanks to its amazing landscapes, the hospitable local people as well as the unique activities in the daily life here, you will have chance to witness the fact how the beautiful nature is, how the ethnic minority is, and how the unique culture is. It can be said that there is nowhere in Vietnam can tourists easily meet the local ethnic minorities like in Sapa. 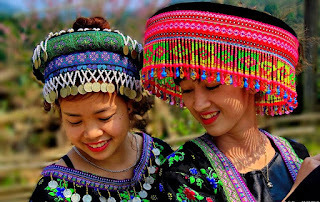 The district is the home of a great diversity of ethnic people, including five main groups of Hmong, Yao, Tay, Zay and Xa Pho. They do not live in center area but in hamlets scattering on the valleys throughout Sapa District. 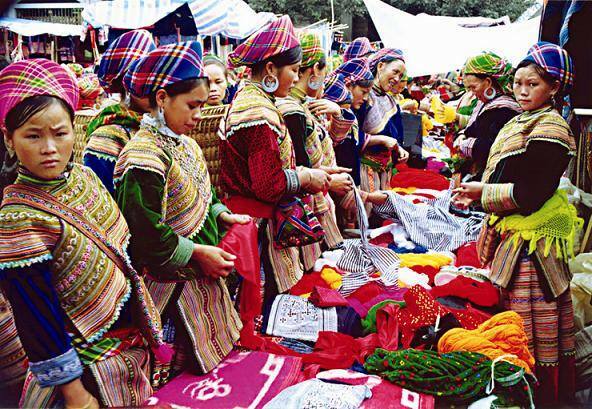 Town of Sapa is where ethnic minority people gather, trade or sell their farming products such as rice, corn, fruits, as well as handicrafts and souvenirs to tourists. 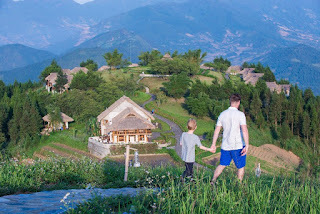 There is one interesting fact about ethnic minority people in Sapa that besides their dialects, many of them, especially small children, can speak English pretty well with clear pronunciation. Spending time visiting ethnic minorities’ villages, observing their daily’s activities or even living homestay, in order to understand more about their culture is now the top priority of visitors, especially international ones. 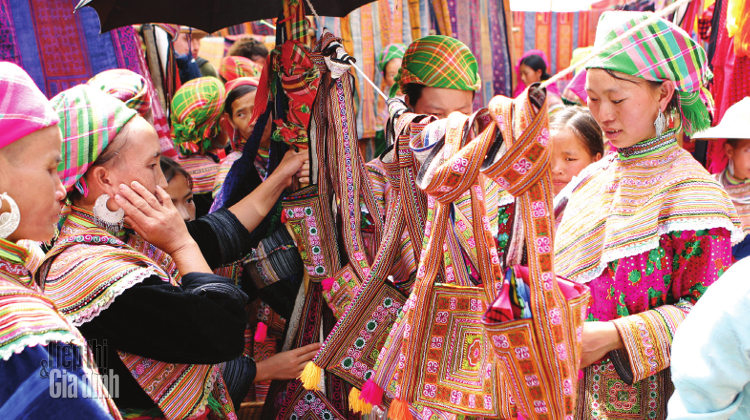 A trip to Sapa would definitely more meaningful with participatory activities, such as learning to make handicrafts or helping the local with farm work! 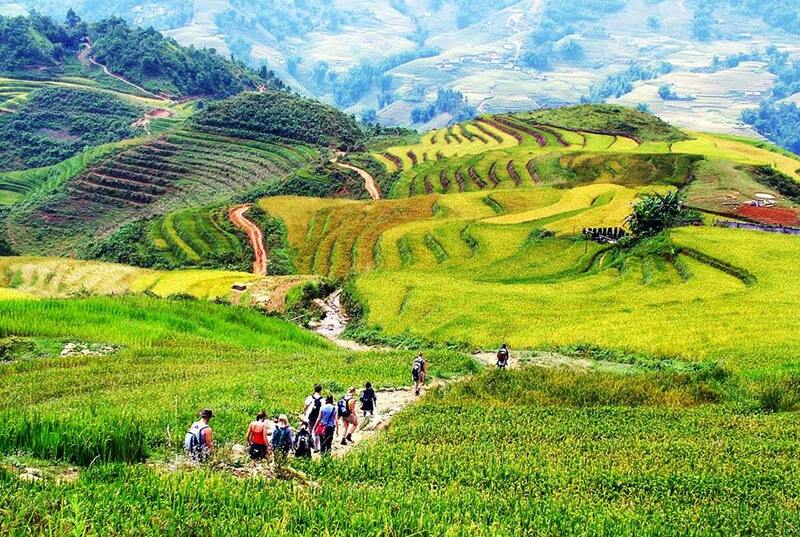 Sapa is voted to be the best trekking spot in Vietnam, by both natives and foreigners. The whole district is dominated by The Hoang Lien Son mountain range, which also includes Mt. Fan Si Pan- the highest peak in Vietnam and the entire Indochina peninsula with the height of 3143m. This mount is not only a tough challenge to trekking enthusiasts but also an opportunity to witness the splendid mountainous vista. The scenery of the Sapa region represents a harmonious relationship between the minority people and nature, which can be seen perceptibly in the paddy fields carpeting the rolling lower slopes of the Hoang Lien Mountains. It was the elements wearing away the underlying rock over thousands of years that created this impressive physical landscape. Many people always want to show that only the big city can bring them the best vacation, while they often forget that nowadays, the remote regions such as the mountain area or the upland in somewhere in the world are always the first choice for an ideal vacation that meets all their expectations from sightseeing, adventure, discovery or relaxation. 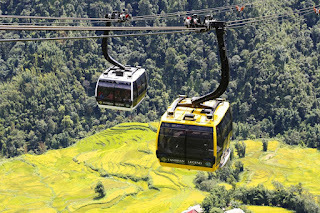 One of the places that Asia Charm Tours mentions here not somewhere else is Sapa. In fact, it can be said that Sapa is one of the rare places in the world giving you the best trip for anything. 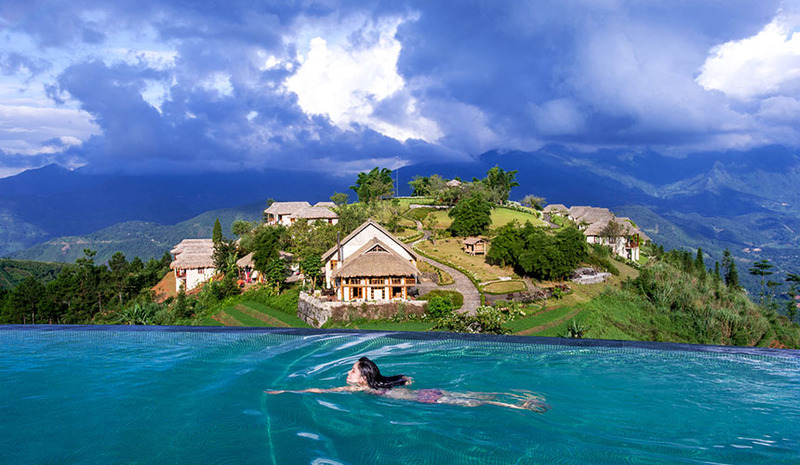 As a well-known destination in Asia in general, and in Vietnam in particular, Sapa always gives you the best opportunity to enjoy the best condition in the real life. From the magnificent terraced fields, the spectacular nature with a fresh air, the impressive stilts houses, the colorful markets of the local residents to the unique culture that must make you satisfied with such a typical tour. 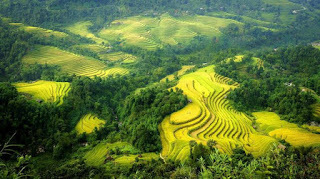 However, don't ever forget that Sapa is also where you can enjoy the best things in the life for a vacation. 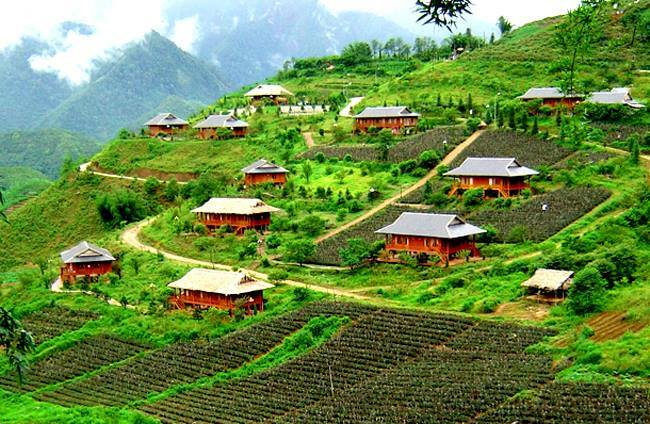 Let come to Topas Ecolodge to enjoy it by joining Hanoi – Sapa Topas Ecolodge by Topas Mountain Express 2 Days. Asia Charm Tours makes sure that this great itinerary will meet all your requirements in the best way. 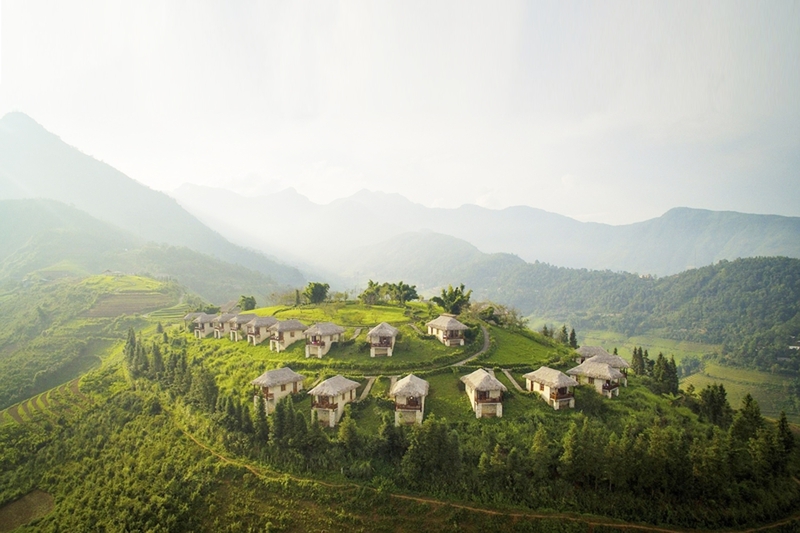 Tag: Hanoi – Sapa Topas Ecolodge by Topas Mountain Express 2 Days, Sapa home stays Tours, Sapa market tours, Sapa trekking tours, Sapa walking Tour, Vietnam Package Tours. Sapa, Ta Van, Giang Ta Chai, Su Pan, and Bac Ha Market seem to be the most interesting places to visit in the Northwest Vietnam area. In fact, whatever you do or wherever you come, Northwest Vietnam is always number one candidate for a perfect choice with plenty of featured kinds of tour to discover in this upland region. This is why Sapa Easy Trek And Bac Ha Market (Sunday) Tour 3 Days was designed by Asia CharmTours like a special gift for you with most of the outstanding destinations, and unique enough in order to provide you an impressive vacation in the lifetime. 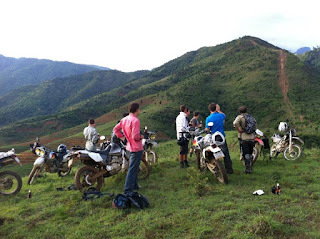 If such Ta Van, Giang Ta Chai and Su Pan are where you will have opportunity to discover and enjoy the beautiful nature with a wide range of the spectacular scenery or learn about the indigenous culture in the daily life of the local people, Bac Ha is a different space. Here is where you can buy or sell something useful and necessary used in the daily life. A colorful space by the clothes of locals looks picturesque, bustling space with the voice and the laugh of everyone here will make you immerse in love with Sapa immediately. Tag: Sapa Easy Trek And Bac Ha Market (Sunday) Tour 3 Days, Sapa homestay tours, Sapa market tours, Sapa trekking tours, Sapa Walking Tours, Vietnam Package Tours. 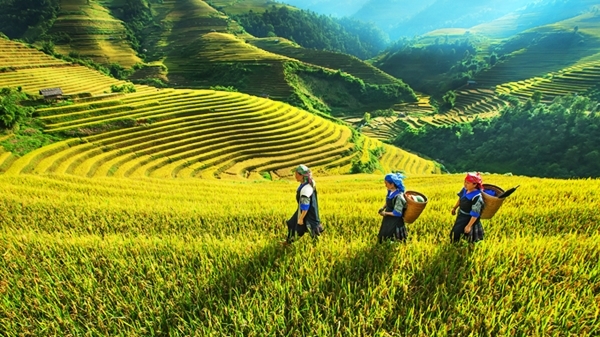 Reach to the picturesque town Sapa and immerse yourself in incredible scenery along with vibrant Vietnamese culture, enjoying the trekking through the beautiful landscape of Sapa are still not interesting enough if without taking Sapa Market Tour. In all the world, there is not a lot of such the exciting places for you to choose a perfect vacation including sightseeing, discovery, adventure, and culture like Sapa. One special thing makes Sapa different from wherever in the world is, it is home to ethnic minority groups. Therefore, culture here has many unique and different making everyone amused and curious. 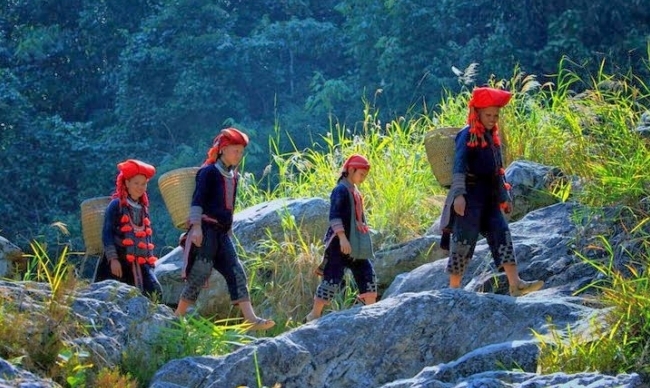 Sapa is real life with plenty of wonderful experiences for anyone. 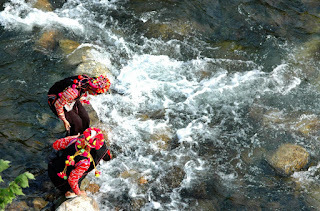 Let come to Sapa to enjoy not only the marvelous landscapes, but also the extremely unique indigenous culture from the main activities in the daily life of the locals. 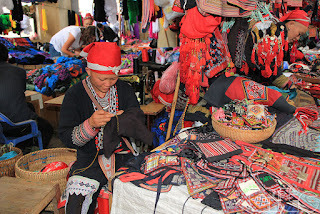 We make sure that joining a Sapa market tour will meet entirely your tourism passion on a trip with a colorful space like the pictures that you will see below, a lot of things to buy and sell in the bustling air, especially, some local people can speak English well to talk to you about everything in life here. It must make you fall in love with Sapa by the sweet memories lasting forever. 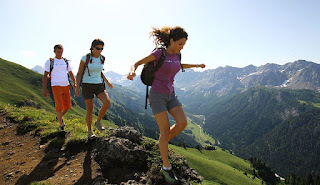 Tag: Sapa biking Tours, Sapa homestay tours, Sapa market tours, Sapa trekking tours, Sapa Walking Tours, Vietnam Package Tours. When you are living in the brilliant and flashy cities, and you get used to hearing to the sound and the noise of the bustling urban, have you ever been fed up with enjoying such a monotonous life? Why it is called a monotonous life. Because you are living where there is only the light of the electric lamp at night, and the noise of everything around you for a society too modern. It doesn’t have the existence of Nature. A life too modern doesn’t mean it brings you everything perfect. Maybe you have everything, but you lack of the peaceful moments, fresh air, and the romantic beauty of Nature. It must be not fair for you if your vacation in somewhere like that. So, let discover nature, and enjoy the best things that this life brings you whenever and wherever in this world. A well-known destination of Vietnam like Sapa where ethnic minority groups are living at the hill tribes will give you the unique indigenous culture, the breathtaking landscapes of the beautiful nature, and the fresh air, especially the warmest welcome of the local resident considered as the best solution that help you to regain balance in life. This is an ideal place helping you to re-connecting with nature, family and yourself. 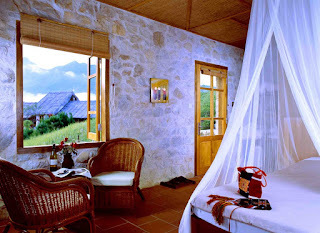 Do not hesitate to contact us to get the best vacation in Sapa, which will give back to you everything that a life too modern has taken it away from you. Tag: Sapa homestay tours, Sapa market tours, Sapa Tours, Sapa trekking tours, Sapa Walking Tours, Vietnam Package Tours. As you can know, the sport is one of the important activities in the daily life of anyone of us. It helps us to get a good health, a strong body, and much more something interesting in the life. Surely, we find it completely correct until now. How about you? Are you the sports enthusiasts? If you are, how well do you trek and climb? Most of our nice clients are eager to take the kind of tours that consist of various activities such as discovering, sightseeing and trekking. So, Sapa is always their first choice when they come to Vietnam. Asia Charm Tours make sure that their choice has never been wrong until now. Well-know destination in Northwest Vietnam for majestic scenery, the beautiful trekking trails, Fansipan Mountain Peak at altitude of 3.143m above sea level considered as "The Roof of Indochina", especially the indigenous culture showed in the daily life of local people, Sapa must be place that will make you fall in love with it immediately. 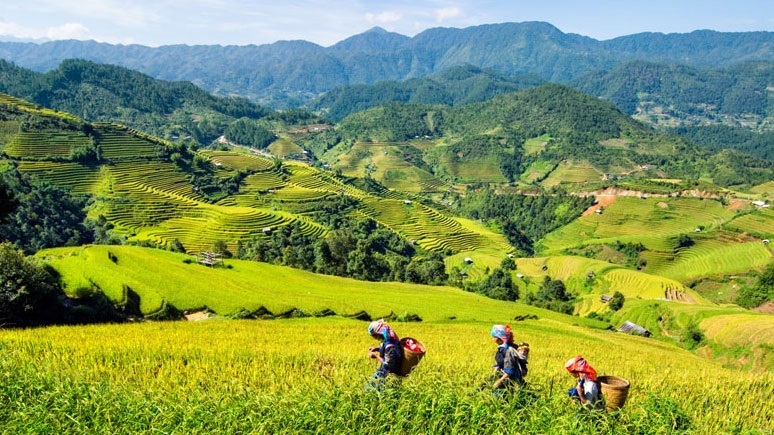 So, if you own a good enough trekking and climbing skill, let embark on Sapa trekking Tours designed by Asia Charm Tours designed to conquer the nature, and conquer yourself as well.